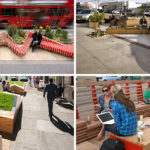 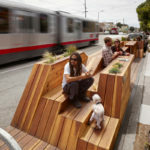 With summer officially here and cities preparing for people wanting to spend more time outside, street destinations like parklets are a great way to add some vibrancy to an area. 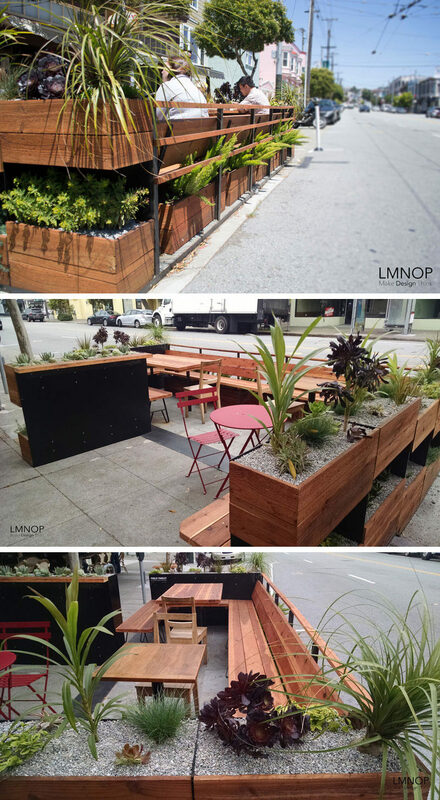 Parklets are normally located where a parking spot for a car would be. 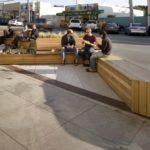 They’re essentially an extension of the sidewalk, and have tables and chairs for relaxing. 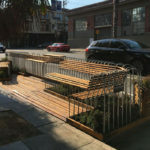 This parklet surrounded by wood and plants, has been designed by Kristin Suanders of Rebar Group, with LMNOP Design completing the fabrication and installation. 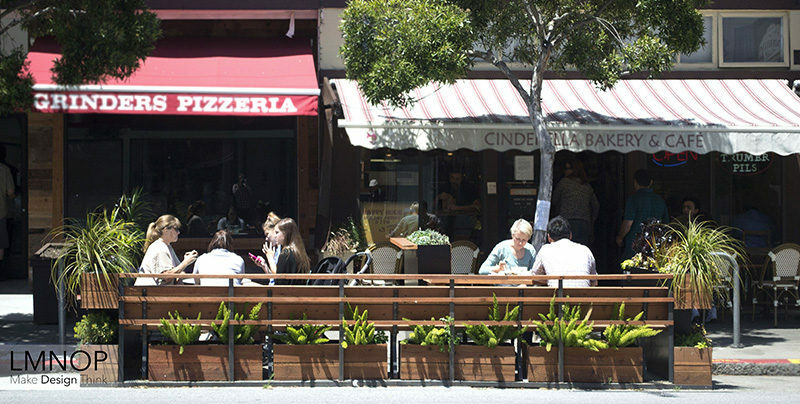 The parklet, located on Balboa Street in San Francisco, was sponsored by Cinderella Bakery and Cafe, who wanted to increase the foot traffic outside their location, and at the same enhance the street. 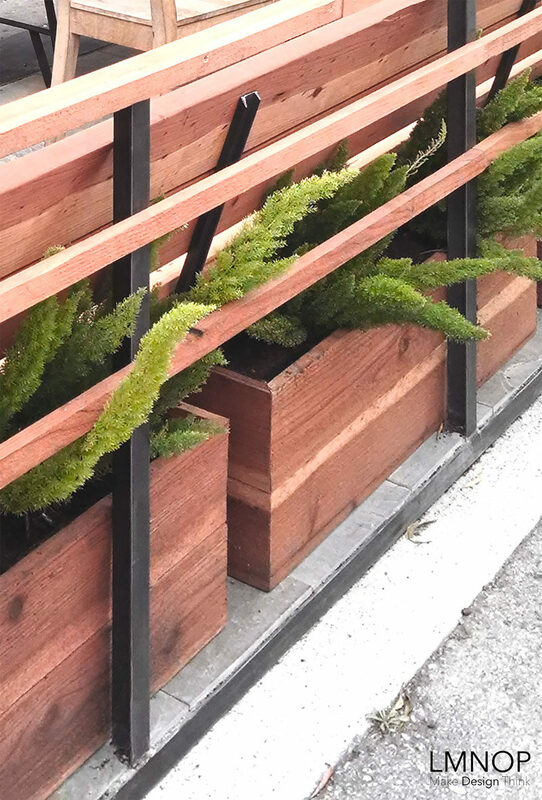 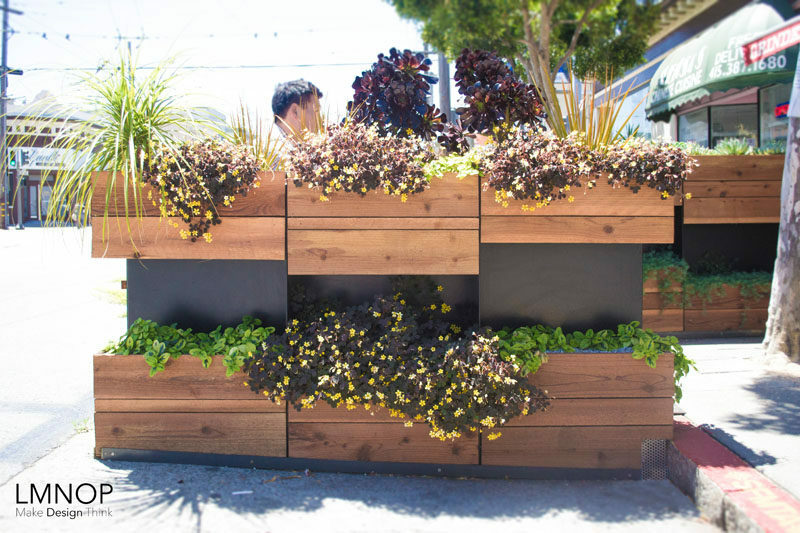 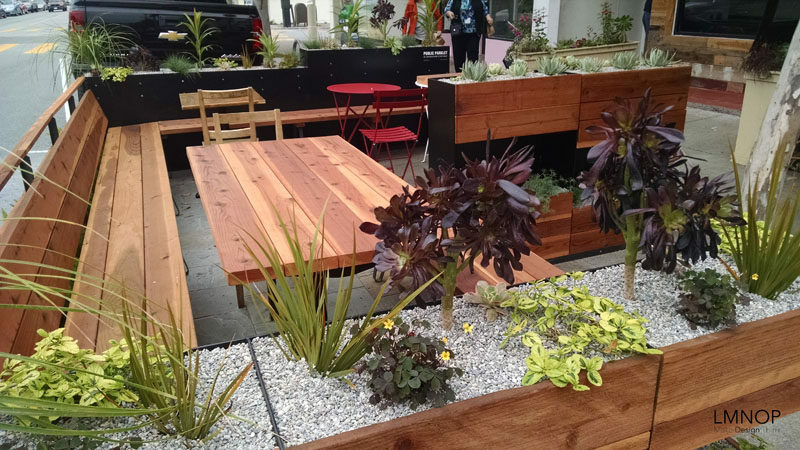 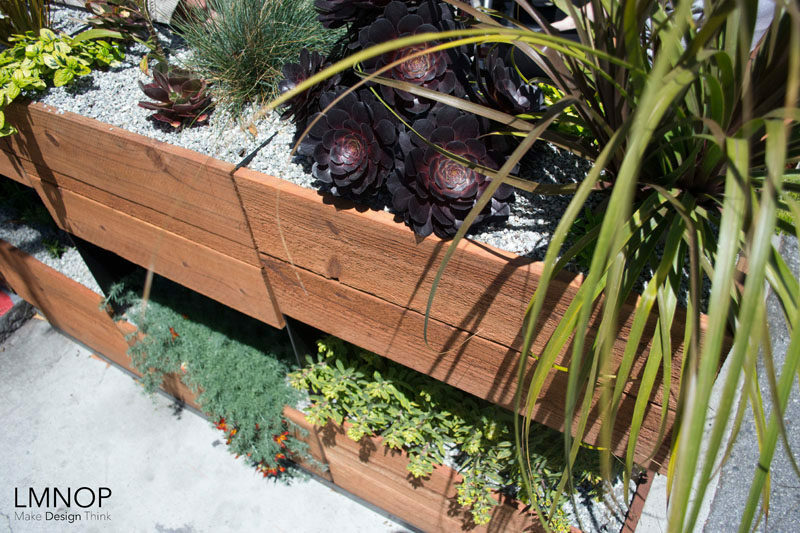 The parklet is made from redwood, marine grade plywood, and hot rolled steel, that has been covered in planters featuring succulents and herbs.